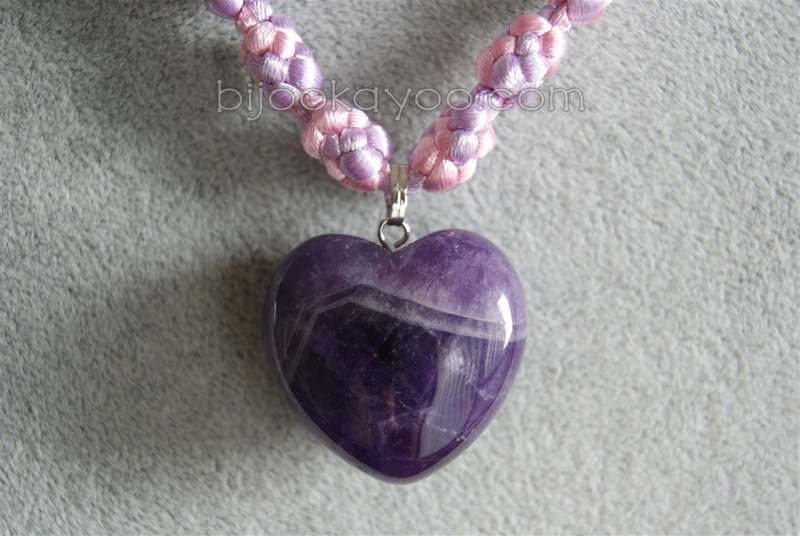 I found this heart-shaped pendant at a local Gem Show and loved its two tones of purple. In contrast with the dark side of it, I choose light colors for the chain to add a bit of brightness to the necklace. At first, I thought about making four-leaved clover knots with the cords, but the shape didn’t go really well with the pendant. So, I ended up choosing pineapple knots which, I think, give an even more girly effect to this necklace. The beads along the chain are just a reminder of the pendant and allow to break its uniformity. 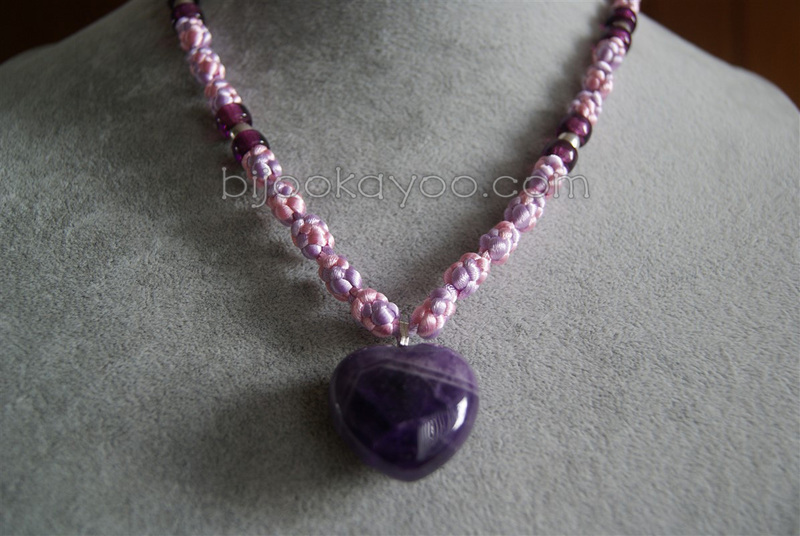 This necklace is made of two 2mm satin cords, a lavender one and a light pink one, and a purple heart-shaped natural stone pendant I bought from the local Port Moody Rock and Gem Club. 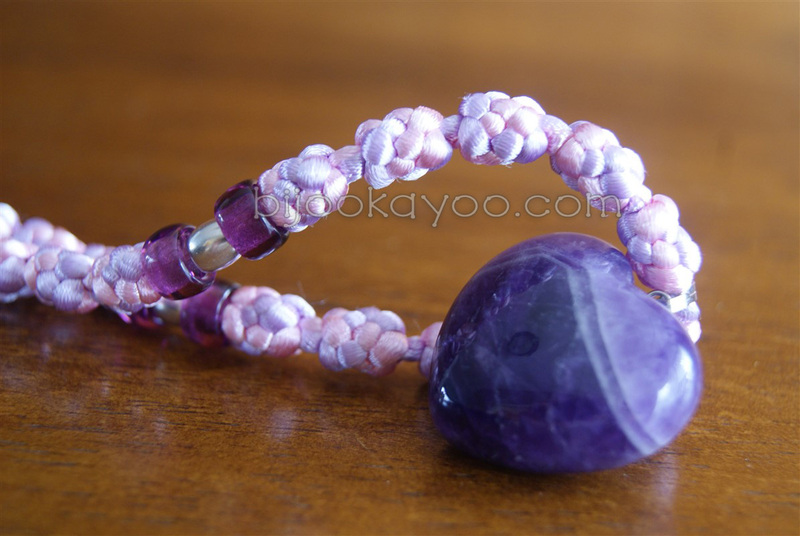 The chain features Pineapple knots and silver plated spacer beads surrounded by purple glass spacer beads. Each knot has its own meaning in the Chinese culture. Thus, the Pineapple knot is considered a symbol of prosperity. 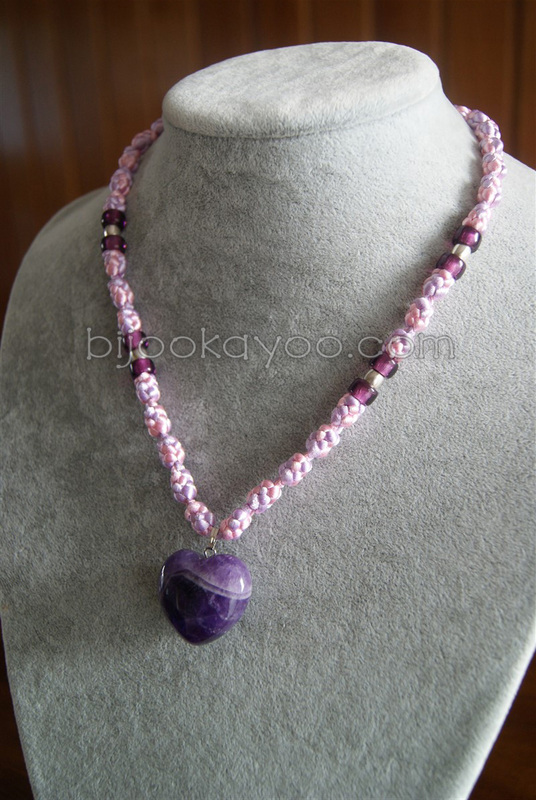 Posted in NecklacesTagged bead, chinese, club, cord, gem, glass, heart, knot, light, metal, natural, necklace, pendant, pineapple, pink, plated, Port Moody, purple, satin, silver, spacer, stoneBookmark the permalink.